Experience the incredible benefits of Ellanse® for volume, shaping and rejuvenation. Restores volume, redefine contours and reduce wrinkles. What are Ellansé® dermal fillers? Ellansé® is a tailor-made bioresorbable collagen stimulator that works by not only correcting the wrinkles and folds in your skin, but also by stimulating your body’s own collagen for a long-lasting, natural result. It is made of Poly-Caprolactone (PCI) and is fully resorbed by your body. Ellansé® filler is a unique combination of total and predictable bioresorbable soft medical polymer. The innovation of Ellansé® has exclusive properties of immediate filling, followed by a secondary stimulation of the clients own collagen that can be seen after three months for which the treatment should be revised and refreshed. This treatment is a new option to show off your skin with more elasticity, smoother and rejuvenating with elegance. Ellansé® also offers an exclusive option in regards to longer duration as an alternative for reshaping the nose and chin. Without forgetting that is ideal to diminish skins flaccidity. Ellansé® can treat signs of ageing, above all for skin that begins to hang generated by the passing of time, stimulates the generation of collagen Type I, gives back the elasticity and luminosity of the skin. How does Ellansé® dermal filler work? Collagen is one of the important support structures found naturally in our skin, helping to maintain the appropriate tightness, elasticity and suppleness. Over the course of time, our skin gradually loses its natural collagen, leading to facial laxity and the formation of wrinkles and folds. Ellansé® filler works differently to other dermal fillers, which only address lines, wrinkles and folds. Thanks to its unique properties, it stimulates the collagen to correct wrinkles and volumizes, contours and sculpts the skin. What areas can Ellansé® be used to treat? Ellansé® can be used to contour and restore lost volume to the cheekbone area to give you a more youthful appearance. It can also be used to fill hollow and sunken cheeks. Ellansé® can be used to effectively smooth and fill the lines that run between the nose and outer corners of the mouth. This groove accentuates the appearance of the jowl along the jaw line. Ellansé® can be used to smooth and fill this area. Ellansé® can be used to contour and strengthen the definition of the chin for a more structured jawline. Ellansé® can restore lost volume areas such as the temporal hollows, which can appear sunken over time. Lines around the mouth and lip area. Ellansé® can be used to smooth and fill the lines and wrinkles that appear here. Ellansé® can be used to lift he corners of the mouth, resulting in a natural and happier look. Ellansé® fills and smoothes these lines, reducing the vertical lines that appear on the corner of the mouth. Ellansé® can restore lost volume on the back of the hands to make them appear fresher with a more youthful appearance. 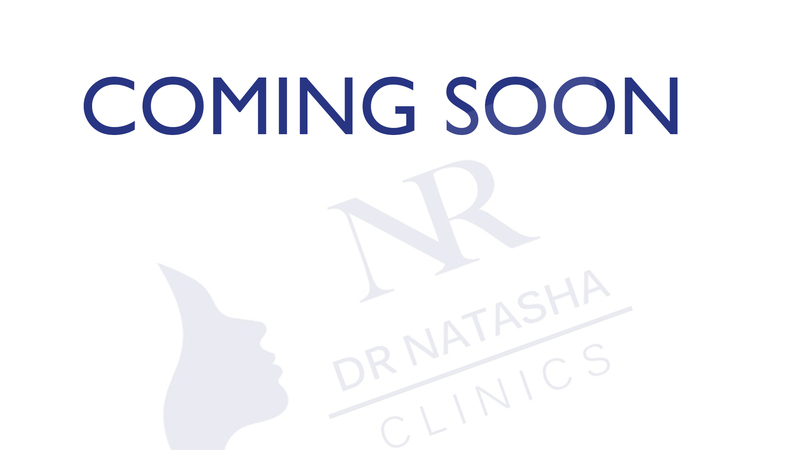 Before the treatment, Dr Natasha will discuss your medical history and answer any questions the client may. The treatment area will be cleaned with an antiseptic. Ellansé® will be injected in small amounts into the skin using a very fine hypodermic needle. An ice pack may be applied to the treatment area before or after treatment to reduce possible swelling. The treatment is simple, quick and convenient, and will take approximately 20-30 minutes to complete. You can enjoy your new look immediately. Ellansé® does not usually require any skin-testing prior to the treatment. Immediately after the treatment. With Ellansé® unique formulation, the results are normally longer-lasting and sustained over time in comparison to other dermal fillers. There may be some swelling, redness, and bruising may occur. These are usually mild and resolve within 1-2 days. Yes, Approximately 24 hours after the treatment, any swelling or redness should be resolved. It is recommended to avoid excessive exposure to any sun or UV light for one week after the treatment. The effects are gradual, giving you a natural youthful appearance that lasts approx 1 or 2 years dependent on the chosen product. Ellansé® lasts longer than regular dermal fillers as it is suitable for deep and subdermal use. Ellansé® has four distinctive versions available to choose from, depending on how long you would like the results to last, eliminating the need for frequent repeat treatments.